Example: our domestic power supply is three phase, 440 Volts. Here 440 volts means the phase to phase voltage is 440. 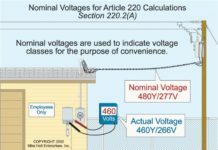 Note: If they mention in single phase 230 volts, then it means the potential difference the phase to neutral is 230 volts. Line voltage = 1.732 times of phase voltage. Line voltage = Phase voltage. 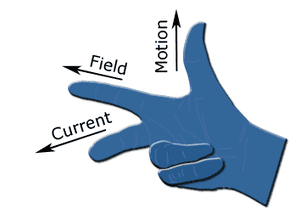 The measure of current in one phase before the star or delta arrangement of the component is called line current (typically input current in motor or output current in alternator). In three phase balanced system, it may be R phase current or Y phase current or B phase current. It is denoted by IL ampere. Phase current is the measure of current inside of star connection or delta connection of the three phase system. It is denoted by Iph. Note: Value of √3 = 1.732.